Bayern will face Dortmund not as the favorite, but Hoeness stressed his support for Niko Kovac remains unchanged. He also expressed regret for insulting Juan Bernat. 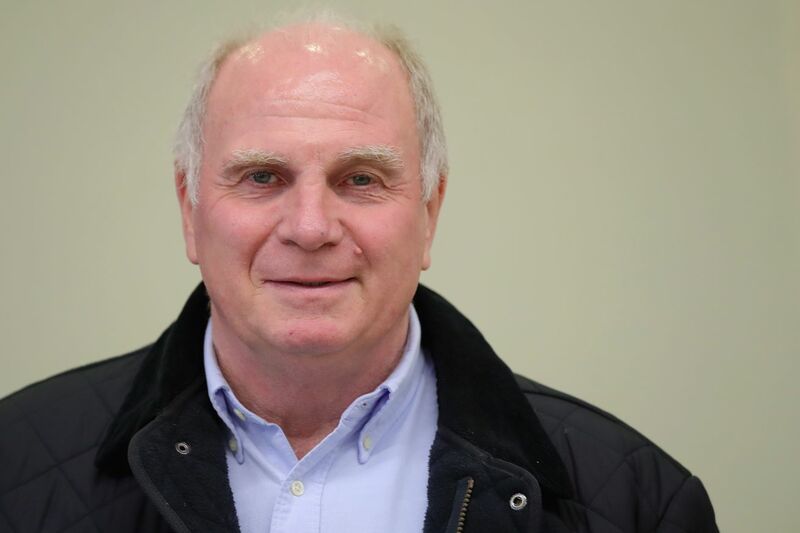 In comments to the press after Bayern Munich?s 2-0 victory over AEK Athens on Wednesday night (collected by TZ), club president Uli Hoeness struck a reflective tone, as he discussed the current state of the club ahead of its upcoming away match against table-leaders Borussia Dortmund. Hoeness reiterated his support for head coach Niko Kovac and even expressed regret for insulting former player Juan Bernat at the now infamous press conference he held jointly with chairman Karl-Heinz Rummenigge and sporting director Hasan Salihamidzic. Hoeness renewed his commitment to stand by coach Kovac. He had declared previously, in the midst of Bayern?s four-game slump, that he would defend Kovac ?to the blood? (bis aufs Blut) ? roughly ?to the bitter end.? Asked whether that promise still held true, Hoeness replied, That has not changed at all. My statements are valid for more than just two or three weeks. We have a team that is in transition; a young coach who has to find his feet here. You have to have a little patience.